The team at Cloud house are getting excited about the imminent arrival of The Cool Camping Press team (Alexandra & family). Over for a weeks holiday in the mountains, we’re dusting off the rope swings & hammocks ready to open the 2011 summer season. Follow us for more updates! 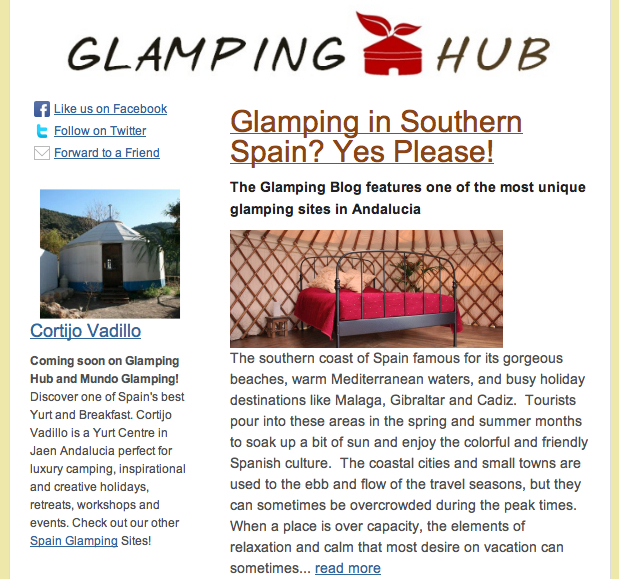 Glampinghub.com feature Cloud House Farm Glamping Holidays on their Newsletter Front Page. 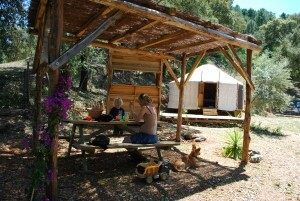 Check out www.glampinginspain.com for more information.